The black poplar (Populus nigra), also known as the Lombardy poplar, is a tall tree native to Europe. Considered an invasive species in some parts of the United States, the black poplar is a deciduous tree that can spread by seed. Found growing in a wide range of climates, the black poplar tree has several distinct characteristics used for identification. Identify the black poplar tree by its size and shape. The black poplar can reach up to 190 feet at maturity but usually grows 60 to 90 feet tall and only 10 to 15 feet wide, and has a multiple-stemmed, slender, columnar shape, often leaning to one side. The lower branches grow close to the ground and bend upward. Notice where the black poplar is growing to identify the tree. The black poplar grows in sunny, moist sites with medium to coarse-textured soils and in regions where winter temperatures stay above -30 degrees Fahrenheit. This tree cannot tolerate sandy soils, droughts or salt. Observe the foliage to identify the black poplar tree. The black poplar has dense, coarse-textured foliage comprised of deciduous, medium-green leaves that are alternately arranged along the stems. The leaves are usually triangular and 2 to 4 inches long, with serrated edges. Study the bark to identify the black poplar tree. 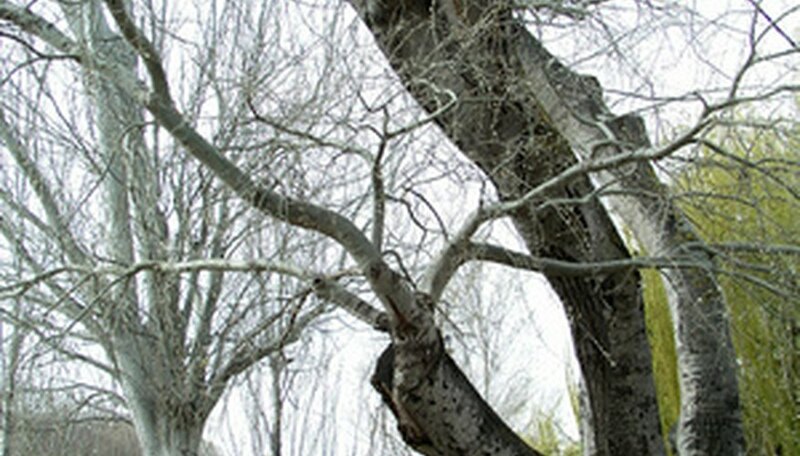 The bark should be smooth and grayish-green in young black poplar trees, turning in maturity to a grayish to brownish-black color, thick and with deep, irregular furrows. Identify the black poplar by its reddish to yellowish-green hanging catkins, which are 2 to 3 inches long and emerge in early spring. The catkins are produced only on the male trees and often emerge before the leaves. 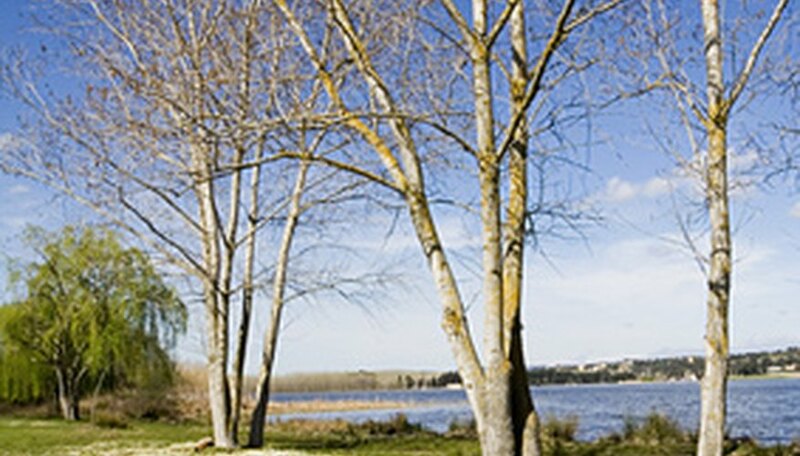 Although the black poplar grows rapidly, it has a short lifespan due to its susceptibility to canker disease. 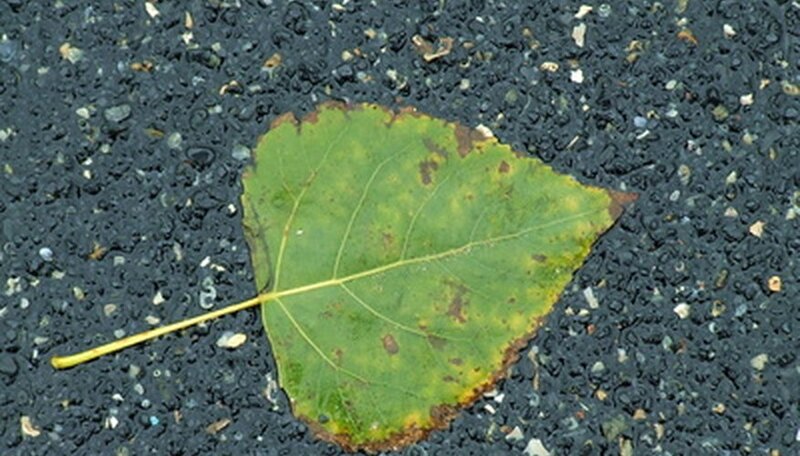 Do not confuse the black poplar with the eastern cottonwood (Populus deltoides), both of which have triangular, similarly-sized leaves with serrated edges and produce catkins. Unlike the black poplar, however, the eastern cottonwood has an open, spreading crown with a slightly vase-shaped canopy. United States Department of Agriculture: Populus nigra L.